Hi friends! I hope you're having a great day! We are doing ok here. I was up at 4am not feeling so hot so I am a bit tired. Other than that, we are doing ok. Just trying to get ready for the baby and the holidays. 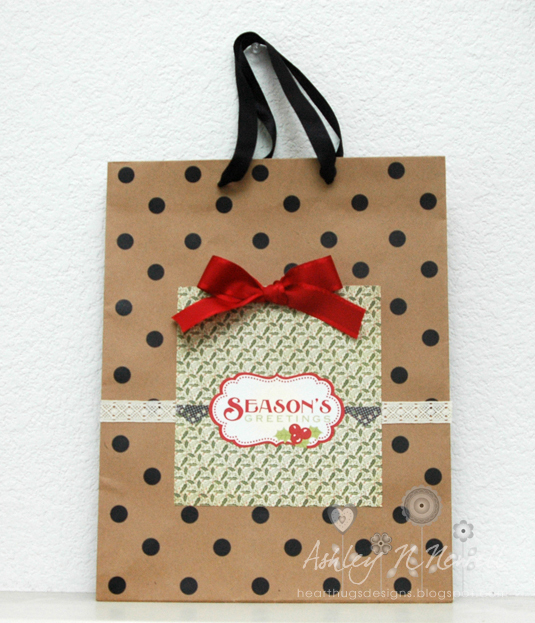 Here's a gift bag I made that I'm entering in the Simon Says Stamp Anything Goes challenge. For this bag, I used some Echo Park paper/sticker, some lace tape, and May Arts 1 inch grosgrain satin edge ribbon.